Anyone else suffering restricted throughput this morning on BT Infinity 2? My profile is up at 68.96 and I usually get throughput of 67Mbps on speed tests. 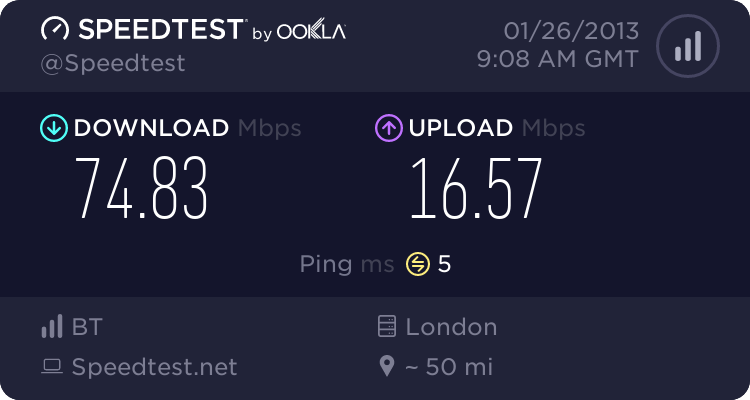 This morning the speed tests are down at 48Mbps, but checking my profile it is still up at 68.96 so nothing has changed with my connection from the Cab. nope is ok here with similiar profile and dumeter shows throughput flatlined no glitches. Moved (with trepidation) to BT Infinity 2 for upload speed. Happy BE user for several years. 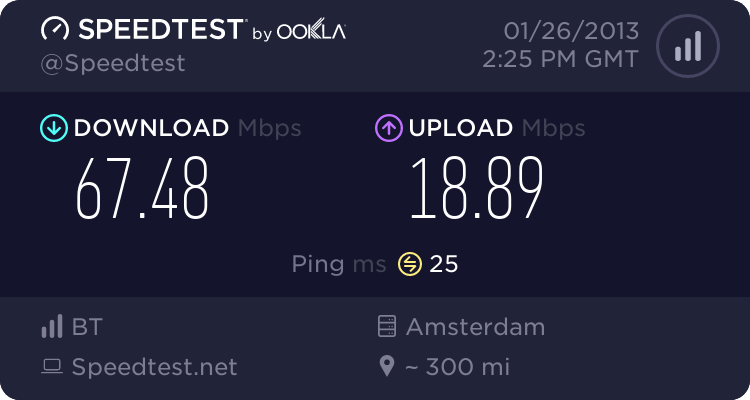 Still only getting 48-50Mbps from a 69Mbps profile. Good enough for most things I know, but there is definitely something wrong with the BT network here.